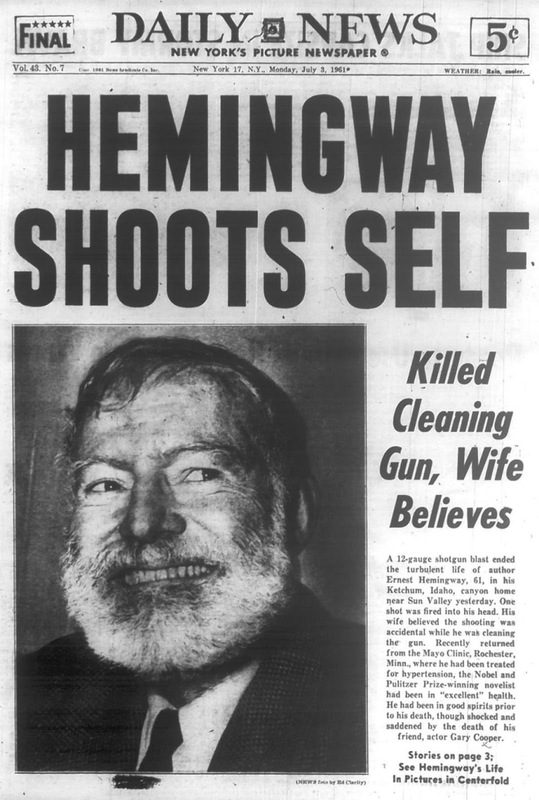 The New York Daily News offers a look back at Sidney Feingold's July 3, 1961 piece published just after Hemingway killed himself. 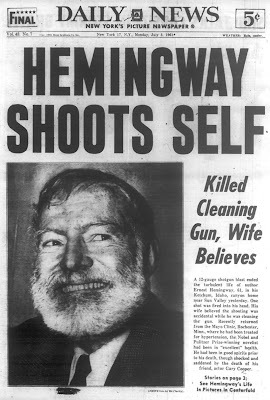 Ernest Miller Hemingway gloried in toughness. He shrugged off brushes with death as being part of life. He counted his many wounds proudly. He lived it up boisterously and sneered at those who did not.And he wrote about it all, earning a bankful of the world’s prizes for literature.That he died by the gun was fitting. A man who had dared death to seek him out in three wars and on countless safaris in the wilds of Africa was not meant to die in bed or of old age.